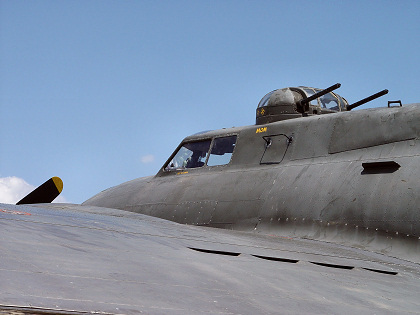 Notice the ball turret gun in the right-hand picture; it would be occupied by a gunner during flight. 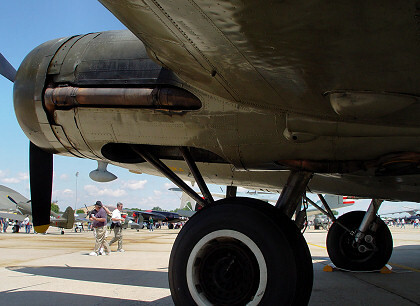 For more information about the ball turret gun, click on this link. 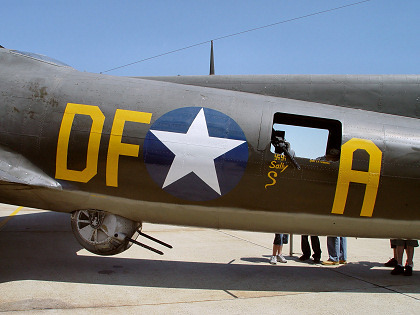 The left-hand picture gives the FAA registration number as N3703G. 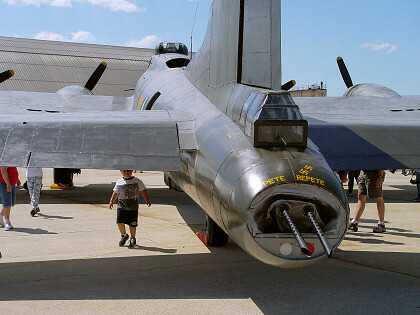 In the right-hand picture, the tail guns were named "Pete" and "Repete". 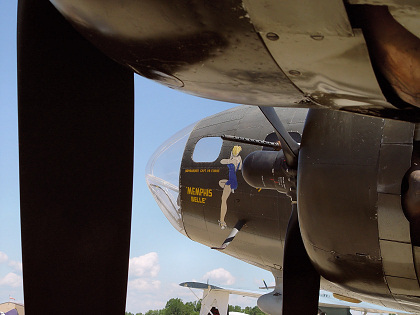 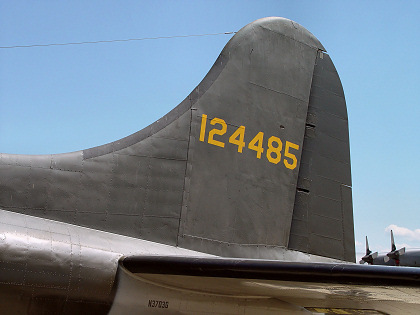 B-17 Flying Fortress - good site about the EAA's B-17 "Aluminum Overcast"